Hello? Did someone forget about the XC70? 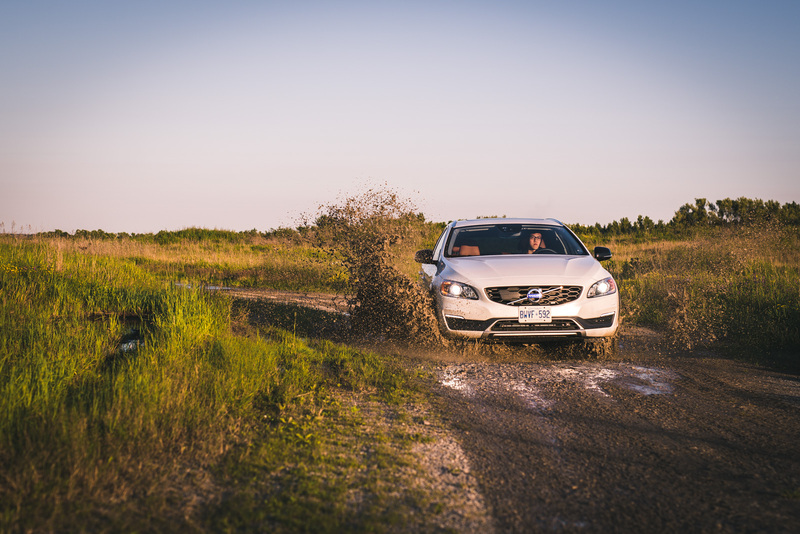 Yes, the new 2015 Volvo V60 Cross Country is the one stealing the current spotlight, but what about the original rugged wagon-child. Last I checked, those XC70s are still rolling off the shelves in 2015. It may look a little old and dated, but I’d argue that it’s still incredibly functional and utilitarian, maybe even more so than the V60 Cross Country. 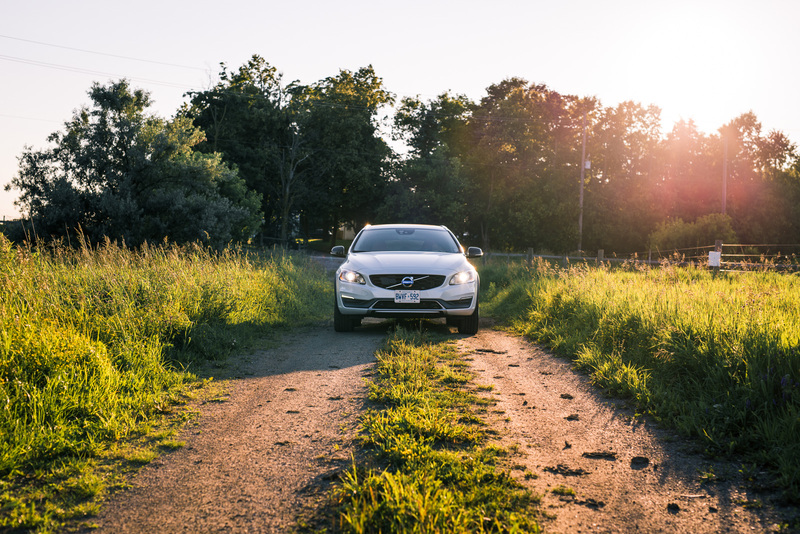 The XC70 is not only taller and higher off the ground, but it’s also cheaper too. It also has a more fuel-efficient four-cylinder and a more powerful inline-six at it’s disposal. So what’s with the overlap? 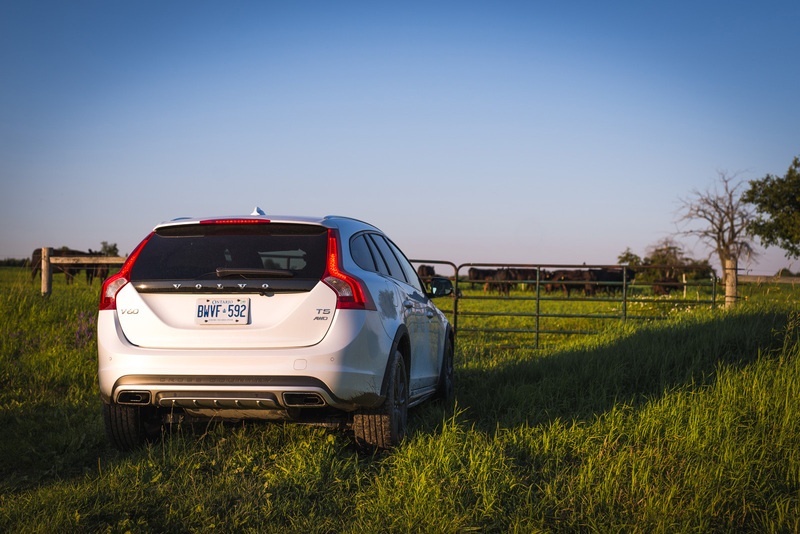 It’s easier to think of the V60 Cross Country as the more fashionable child of the Volvo wagon family. The one that’s always better dressed to dinner, has better taste in clothes, and costs more but is also less practical – a classic case of form over function. 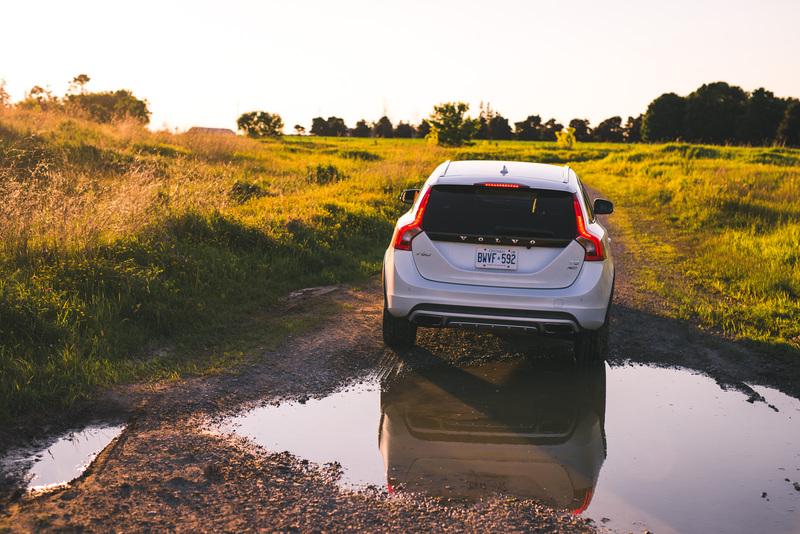 But that’s not to say the V60 Cross Country isn’t functional. It rides with 65mm of additional ground clearance over the standard V60 and exclusive 18-inch wheels - one helluva pair of high heels. 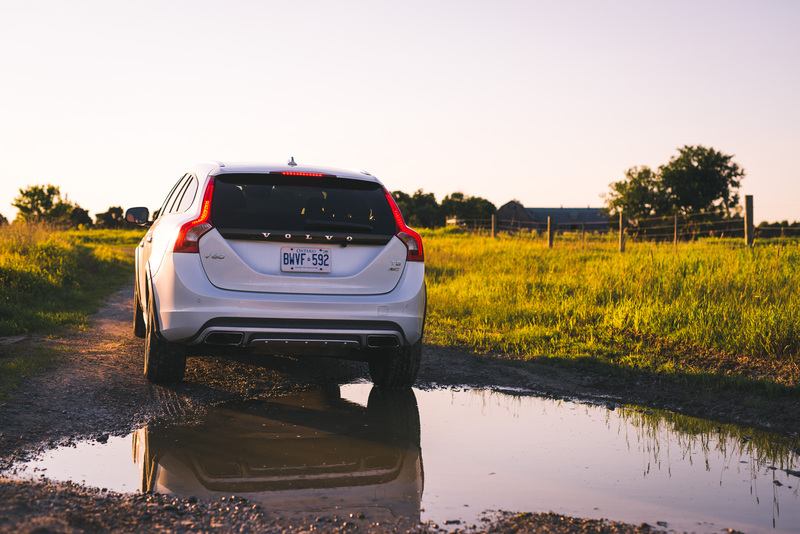 From afar, you might even mistake it for an XC60. The elevated ride height is apparent from almost every angle and for some extra protection and appeal, Volvo added new front and rear skid plates, side scuffs, and extended fenders. The blacked out wheel arches also serve to exaggerate the lifted suspension, while a new honeycomb grille rounds out the front fascia. The V60 Cross Country is exclusively available with Volvo’s venerable turbocharged inline five-cylinder that delivers an output of 250 hp and 266 lb-ft of torque. “A five cylinder engine?” you might ask. While it’s a bit of an oddball design and not very common, it’s one example where Volvo’s T5 badge actually corresponds with the number of cylinders under the hood (unlike the four-cylinders on the related T5 and T6 Drive-E models). Inline fives are rather interesting. 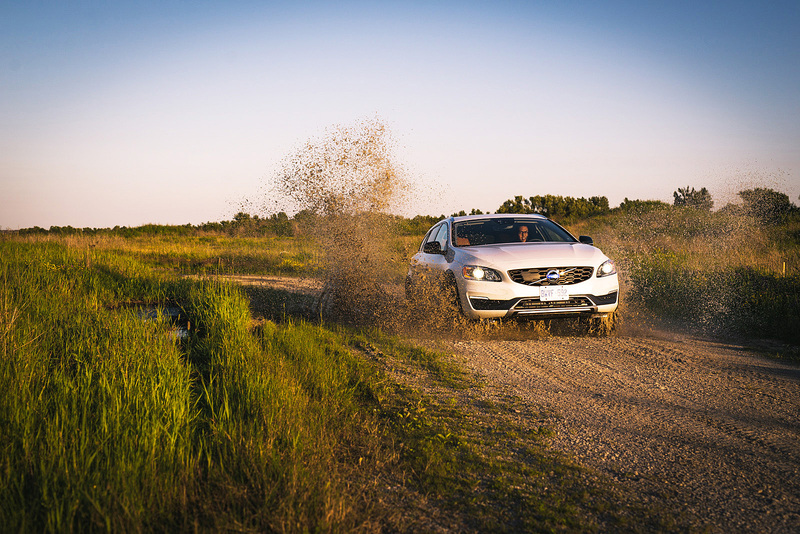 They’re more expensive to manufacture than a six cylinder and inherently less balanced, but Volvo believes all those vices are outweighed by its compact packaging properties for front-wheel drive vehicles. It’s a clever compromise: more cylinders and more power than a four, but shorter than a six. 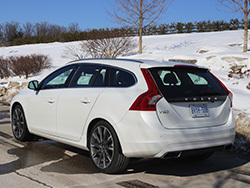 Known for their characteristic mechanical whirl, the V60 delivers a distinct high-pitched howl that is noticeably louder than a four, but not as deep and fearsome as an inline six. 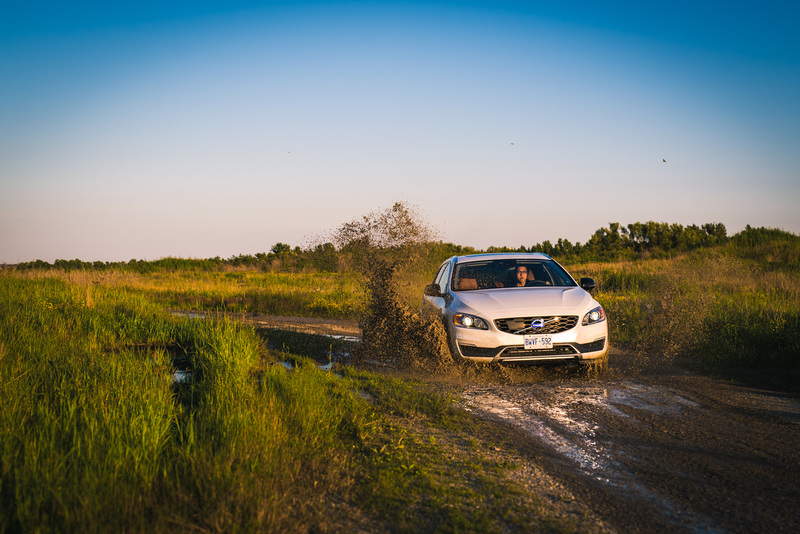 This might also be Volvo’s last application of the inline-five, as they are now focusing their attention to the more fuel-efficient Drive-E four-cylinder engines. The power output from this potent engine is respectable, keeping in mind that peak torque comes as early as 1,800 rpm. 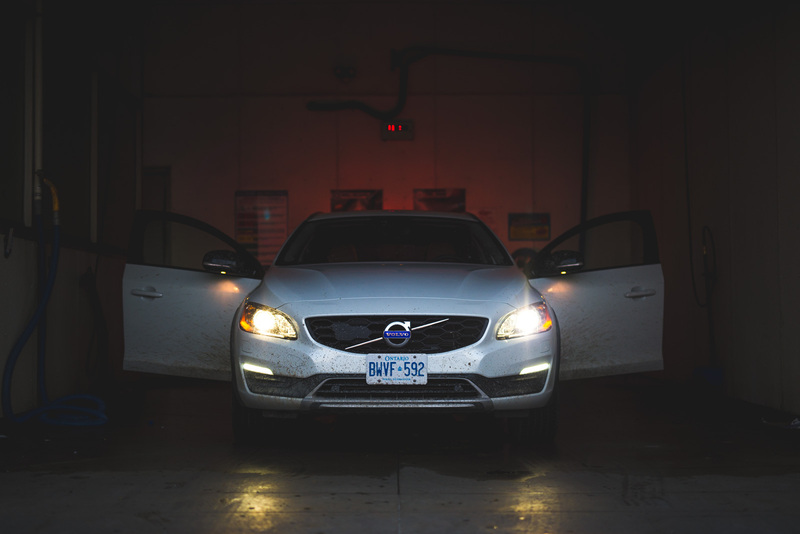 From a standstill, you might start to believe that the V60 was supercharged from the lack of any turbo lag and the sudden surge of torque pushing your head onto the seat. The brilliant Haldex all-wheel drive system also keeps the slip minimal off the line and can send up to 50% of the engine’s torque to the rear axle if needed. You can’t get any six-cylinder engines on the Cross Country unfortunately, but not once during my weeklong residence with the V60 did I ever wish for more power. The inline five-cylinder was capable enough for strong pulls on the straights and trenching through muddy terrain – yet for such an impressive engine, some paddle shifters would have been nice. 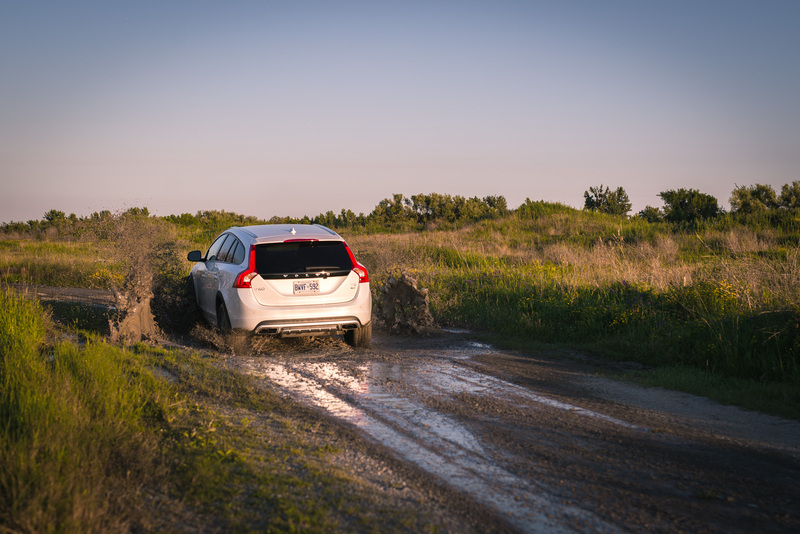 To my liking, the steering in the Cross Country is heavily weighted and takes some effort in the corners. 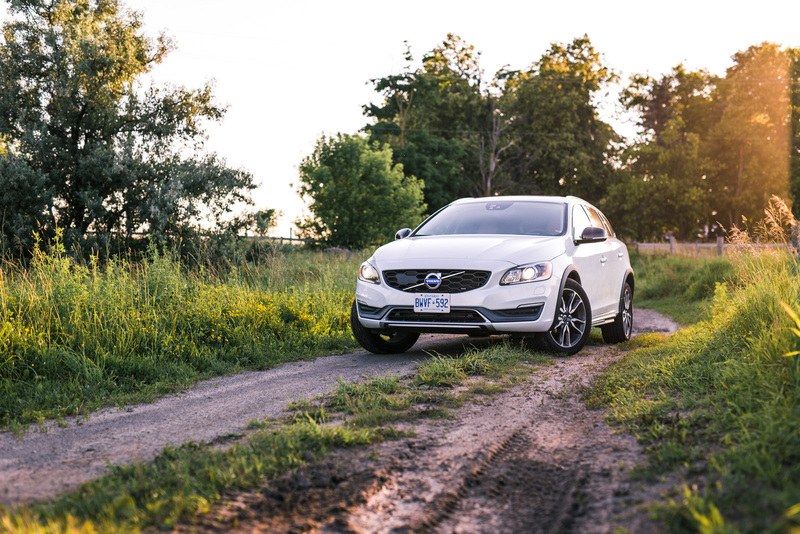 It’s responsive, direct, and combined with near instant throttle response, the V60 becomes quite a performer. 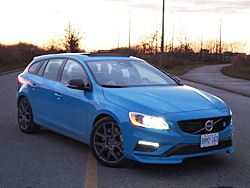 I wouldn’t go so far as calling it a sporty wagon, but it does offer a smooth ride characteristic of the Swedish automaker. When fully loaded, as our tester was, it only weighs 1,640 kilograms - a feather when you compare it with just-as-capable SUVs (a similarly spec’d XC60 weighs 288 kg more than the V60 Cross Country). 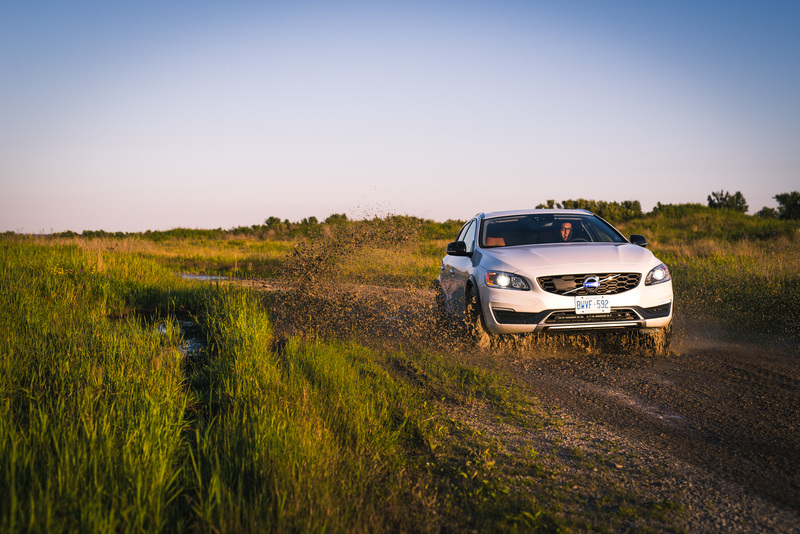 Five cylinder engines aren’t known for their fuel economy, but our V60 Cross Country averaged quite surprising numbers. 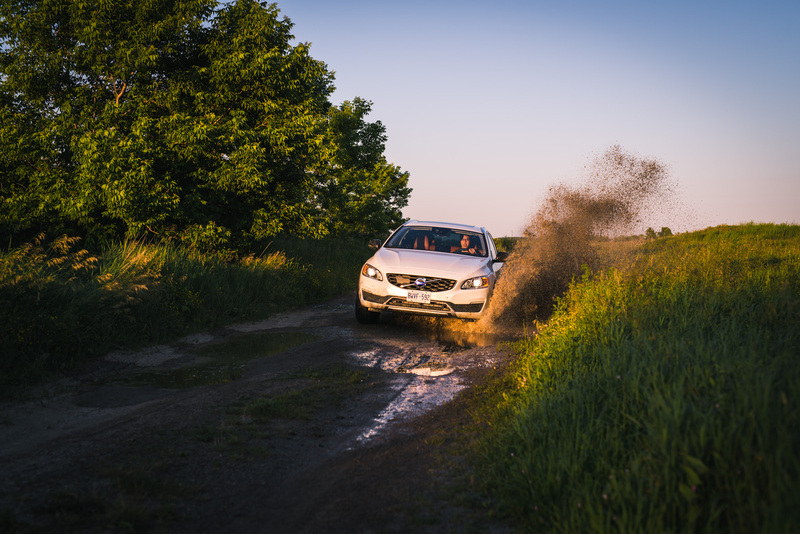 Over the week with a mix of both city and highway driving, we managed 11.8 L/100km – spot on to Volvo’s official city average. 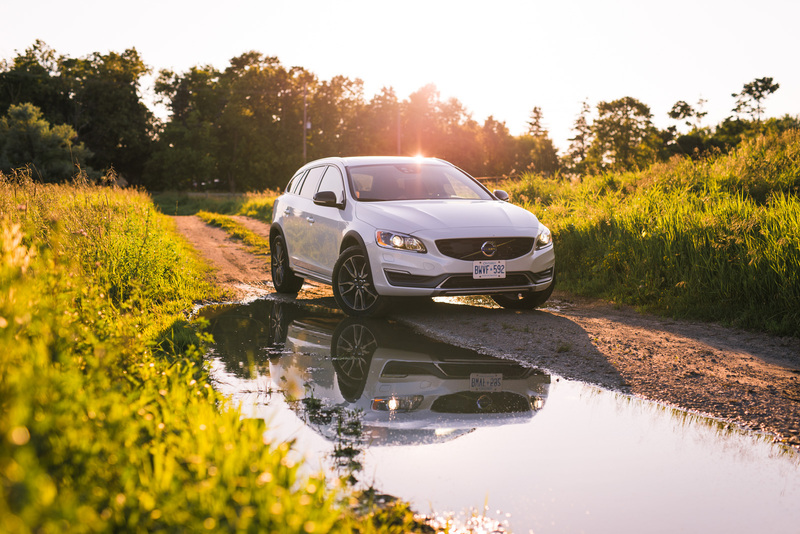 Despite being turbocharged, the V60 only requires low-grade 87-octane fuel - a win-win for saving a few extra dollars at the pump. 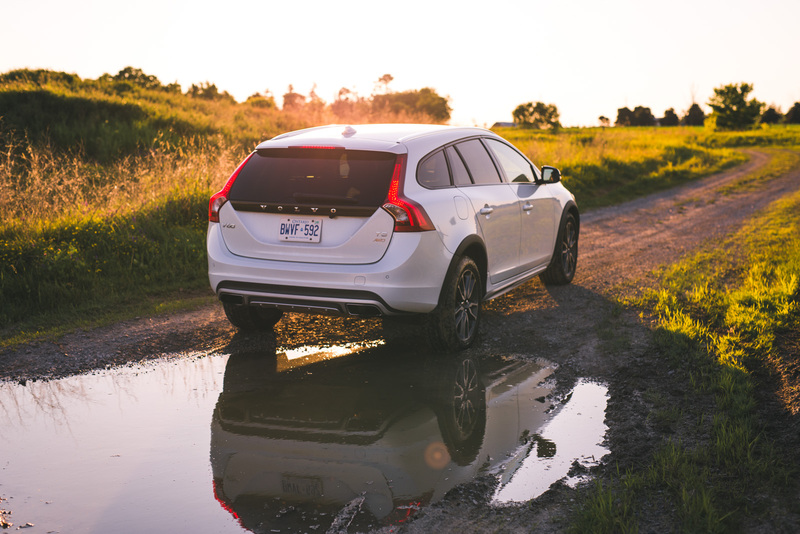 Relative to the competition, the front end of the V60 Cross Country sits on the bland end, yet it’s soft and inoffensive. Some would appreciate sharper curves, but then it wouldn’t be Scandinavian anymore now would it? I like the looks, and the Crystal White paint ($800) genuinely suits the off-roading theme - it’s rewarding to see all the mud and dirt stains after a hard run through the countryside. Spotter’s guide: I’ll hand you a dollar if you could spot any “Cross Country” badges around the vehicle. If the sun is out, you’d win – it’s transparently embossed onto the black rear skid plate, practically unnoticeable and invisible in the dark. Inside is the same ol’ V60. Nothing has really changed here for the better or worse. The interior design remains functional but starting to border on stale. 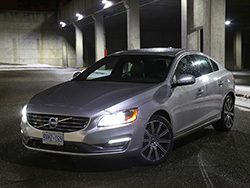 Next to the Germans, Volvo's interior feels sanitized. Our tester has been wrapped in a swath of beechwood sport leather to make up for some colour contrast. It’s an extra $500 but well worth it in my opinion. As you may well know by now, Volvo seats are on another level. They are well bolstered, firm, yet ergonomic. The seating position is very good. You can sit nice and low and still get a commanding view of the road ahead. The steering wheel also telescopes a good distance towards you, more than most cars. So for those that have long legs but short arms, you’ll feel welcome and snug here. The floating center console looks tidy and allows for a wealth of storage behind it. The button layout is a bit cluttered with a keyboard style interface. The infotainment system could use an update, as the navigation and menus are starting to get a little confusing and behind the times. Regardless, the build quality in the V60 is unmatched. The stitching is meticulous, panel gaps are absent, and every dial and surface feels solid and durable. Due to the curved roofline, rear seat space is a little compromised, but standing six-feet tall, I fit back there perfectly. Headroom is on the snug side, but the heated seats and wealth of legroom sure make up it. 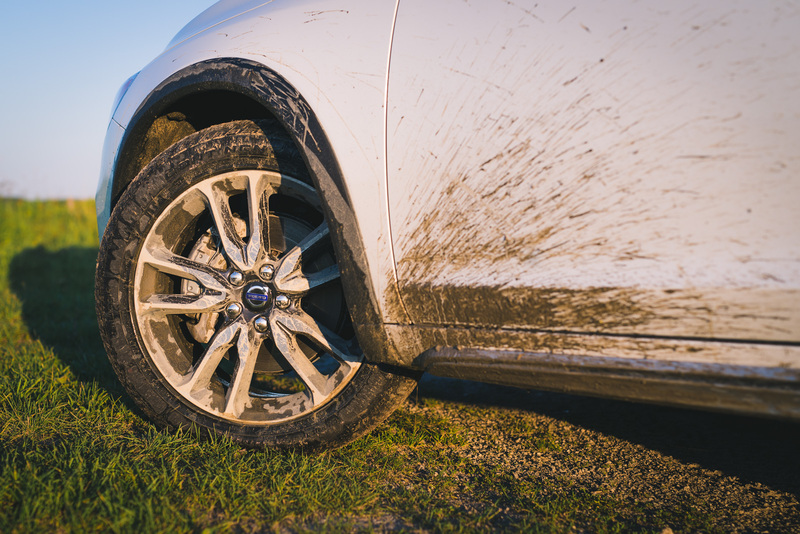 Ingress and egress is a little difficult however due to the raised wheel arches – it’s easy to get your pants dirty as you step out of the car and hit the extended side fenders (especially if you’ve been trenching through the mud like we have). 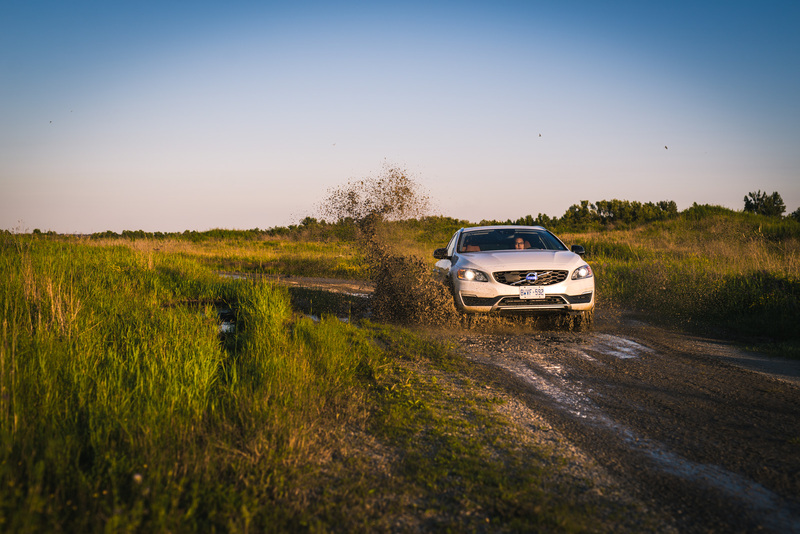 There are many trims to choose from for the V60 Cross Country. Our tester came fully loaded with the top-end T5 AWD Platinum ($50,400): Navigation, Harmon Kardon sound system, auto dimming exterior mirrors and accent lighting. We would rather spec it with the Premier Package ($46,300) that comes with all your basic functions at a more reasonable price: leather seats, keyless entry, 18-inch alloy wheels, adaptive digital display, Bluetooth, and a sunroof. 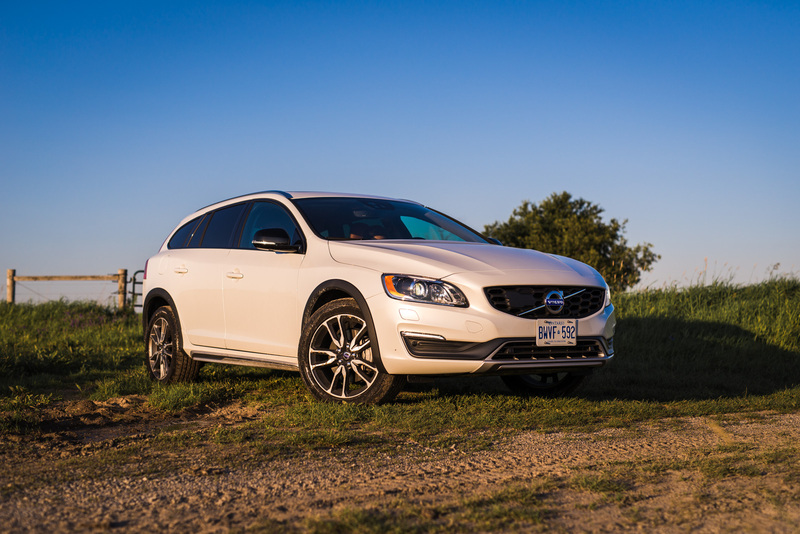 Now begs the question, why would you choose the V60 Cross Country over Volvo’s standard SUV, the XC60. 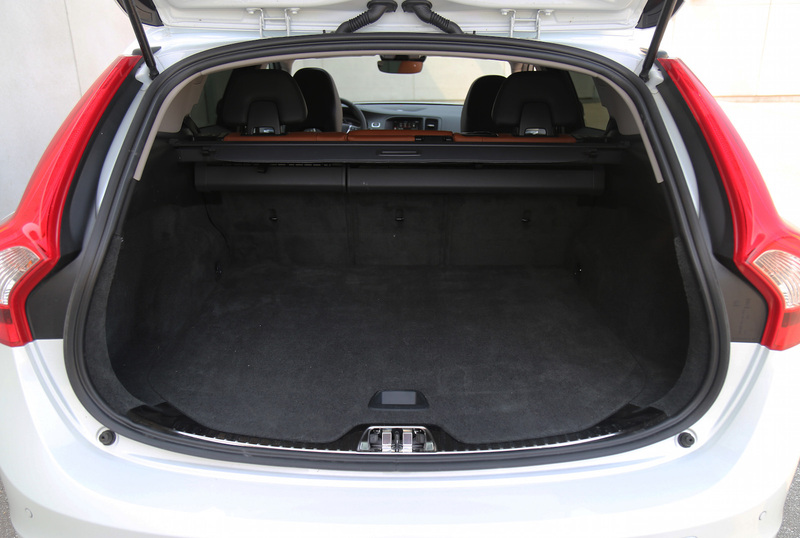 The latter is $250 cheaper and has more ground clearance and road presence than the wagon. Maybe it all comes down to style over function. Not everybody wants to be seen driving a full-blown SUV these days. 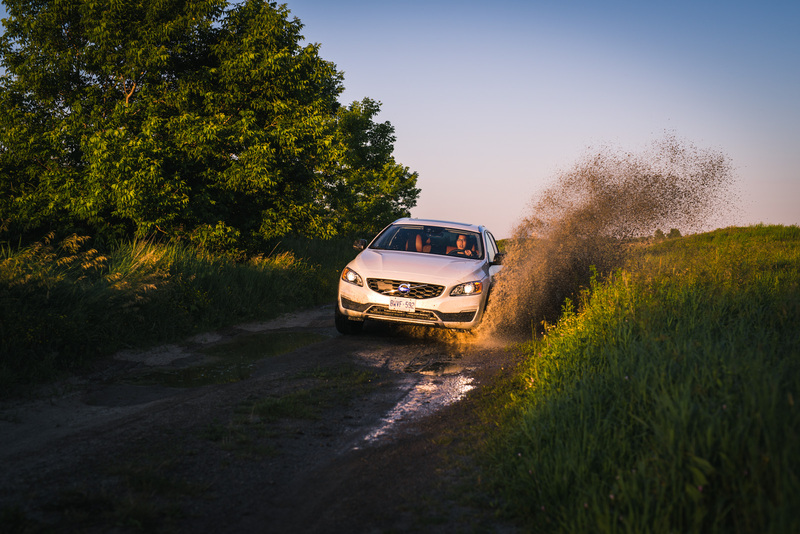 And how many days a year are you really going to be taking your beloved off-road? Maybe to the cottage or to ford an impending flood. 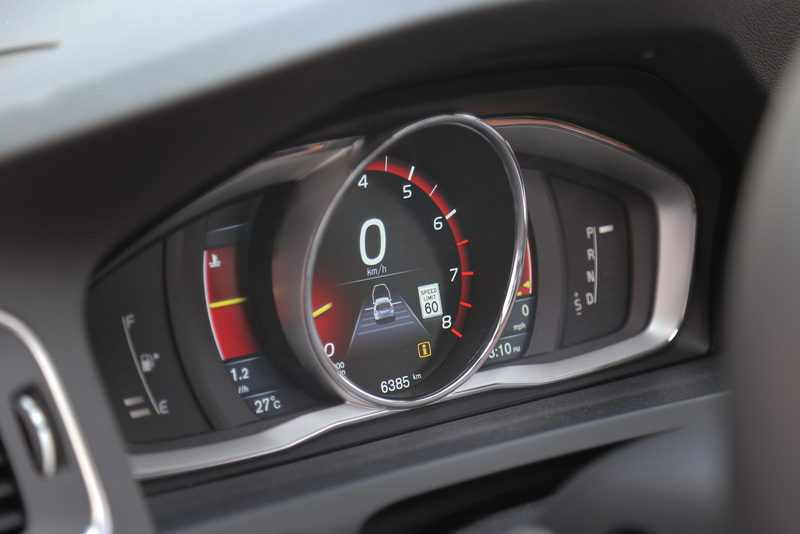 Tell you what, if you wanted full-scale usability, cross-shop and take a look at the XC70. The Audi A4 Allroad also poses as a more expensive threat, while the Subaru Outback sends its regards from below the price ladder. 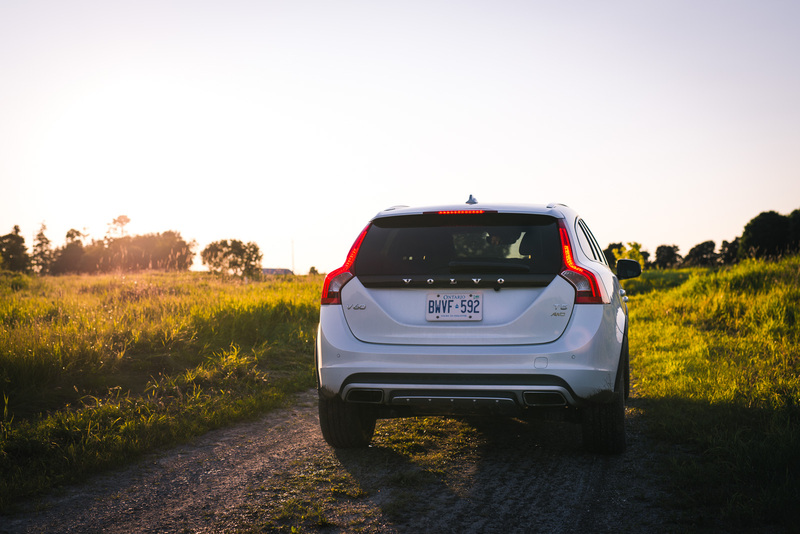 The V60 Cross Country offers a lot of versatility at a reasonable price. 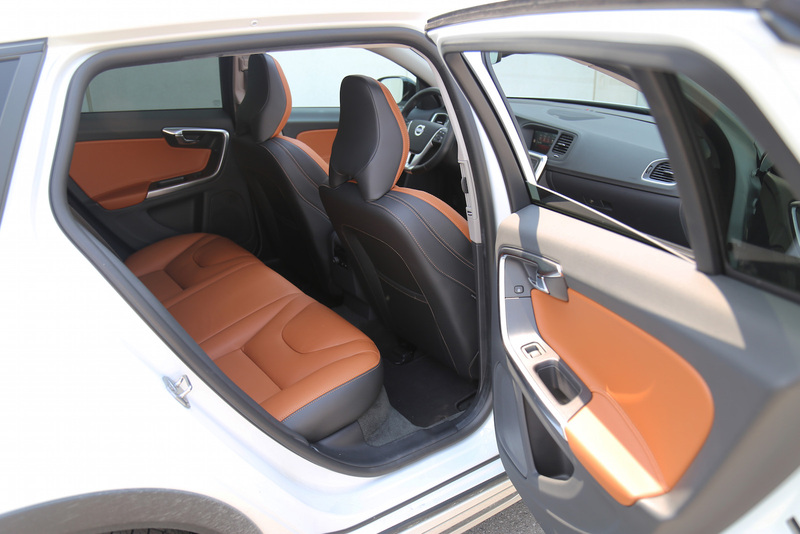 The interior styling and gadgetry needs some updating, but it’s got class and durability. The five-cylinder engine is reaching the end of it’s tenure but it’s only a matter of time before the more fuel-efficient Drive-E engines make their way under the hood, along with a smoother 8-speed automatic transmission. In spite of the oddball engine and the clinical looks, this particular V60 has got to be one of my favourite wagons. It's a solid choice if you're trying to delay that minivan or SUV purchase, and I love having those extra few inches of ground clearance. With the same Cross Country treatment being applied to the S60 Sedan next year, Volvo just might be onto something.